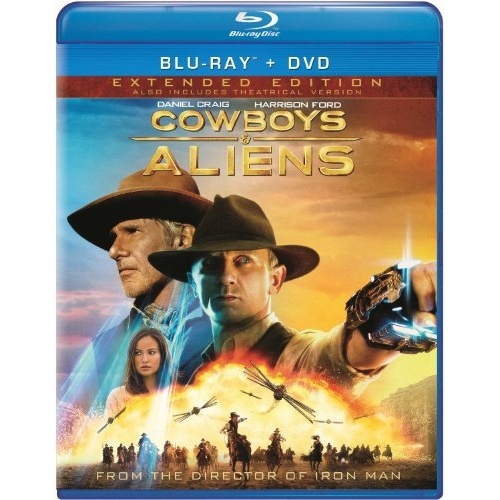 Daniel Craig and Harrison Ford star in this action-packed sci-fi western from the director of Iron Man (Jon Favreau) that critics call "wickedly original, unlike anything you've ever seen" (Jake Hamilton, Fox-TV Houston, TX). A stranger (Craig) stumbles into the desert town of Absolution with no memory of his past and a futuristic shackle around his wrist. With the help of mysterious beauty Ella (Olivia Wilde) and the iron-fisted Colonel Dolarhyde (Ford), he finds himself leading an unlikely posse of cowboys, outlaws, and Apache warriors against a common enemy from beyond this world in an epic showdown for survival.